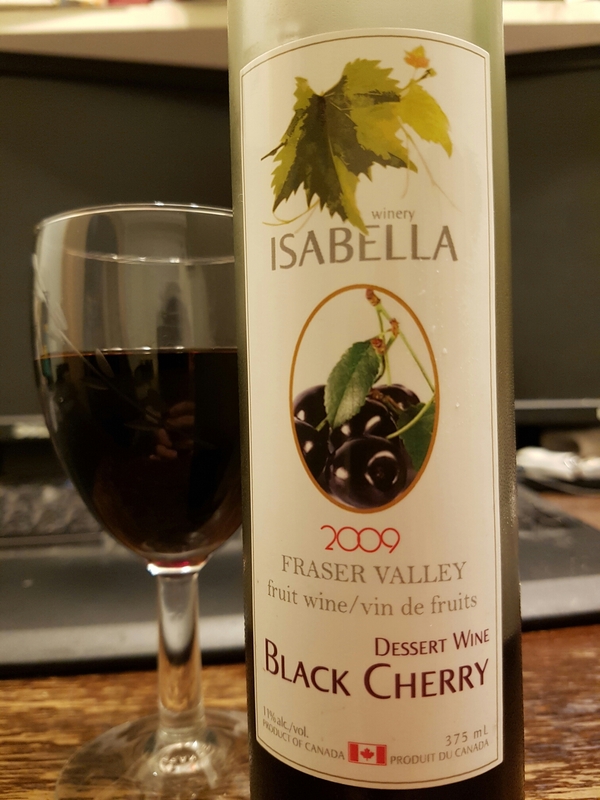 Black Cherry Dessert Wine 2009 – Isabella Winery (Richmond, BC, Canada) | Justintoxicated. Visual: (cellared for 7 years), real cork intact. Pours rich deep blood red, a few micro bubbles along the perimeter. 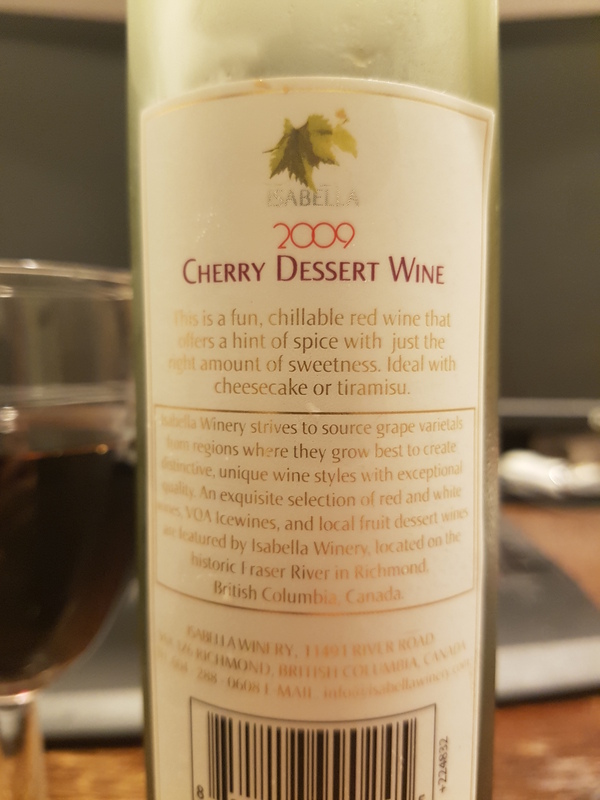 Summary: The first sip or two are very sweet, but after your palate becomes acclimated the fruit flavours emerge. Not that graceful nor balanced.